Join this project and help us make our dream come true! 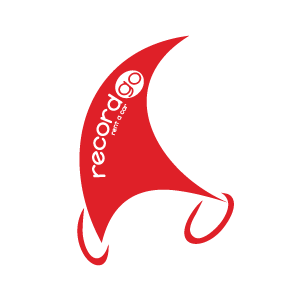 Record Go is a company specialized in renting vehicles without driver with offices at the main tourist destination in Spain. We are best known for being a customer-oriented LOW COST company. We have always strived hard to offer the best balance between quality and price, as well as to provide a constant improvement in our services. Innovation, dynamism and professionalism are premises that made us become one of Spain’s main car rental companies. Mapfre es una aseguradora global presente en 47 países en los cinco continentes. Somos líderes del mercado asegurador español, el primer grupo multinacional asegurador en América Latina, donde también somos líderes del seguro No Vida. Somos uno de los 10 primeros grupos europeos por volumen de primas y nos situamos entre las 20 primeras compañías de seguros de automóviles en Estados Unidos. En la actividad de Asistencia, somos la cuarta aseguradora mundial. Nuestra reaseguradora se encuentra entre las 20 primeras entidades en el ranking mundial y desarrolla su actividad en todo el mundo. The Adecco Group, based in Zurich, Switzerland, is one of the world’s main providers of human resources solutions. With almost 32.000 employees and more than 5.500 offices in more than 60 countries and regions around the world, the Adecco Group offers a wide range of services, providing with a possibility for over 700.00 associates to connect with more than 100.00 clients. The Group offers services of temporary and permanent jobs, as well as outsourcing, consultancy and reassignment. With this wide variety of services, the company supports and improves the prospects and the competitive advantage for both companies and employees. Rio Tinto is leading company in the mining industry and metallurgy. If focuses mainly in the search, extraction and processing mineral resources of the earth with the goal of maximizing the value for our shareholders. We have the people, the skills and the resources to provide for a world hungry for metals and minerals. Construction, communications, recreation, transportation, health care and renewable energies: all of these industries, and some other, trust the products we provide. 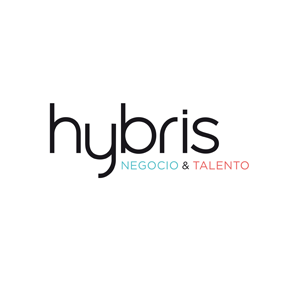 Hybris is a company that was born in 2001 aiming to offer professional solutions that could make up for companies’ weaknesses in the human resources field. This organization counts on a management with experience and multidisciplinary expertise. Hybris is able to broaden the range of the solutions in order to satisfy the clients’ needs in all organizational domains. Our goal is to become a strategic partner for our clients so that they can grow in an orderly fashion as well as progress efficiently as an organization.